WHEM worked for the Rutland Regional Planning Commission (RRPC) as well as directly for Oyma, Inc. (Omya) on a Brownfield assessment of an abandoned industrial property near downtown Proctor. The Town of Proctor was considering purchase of the property for potential use by the Town as a recreational area. 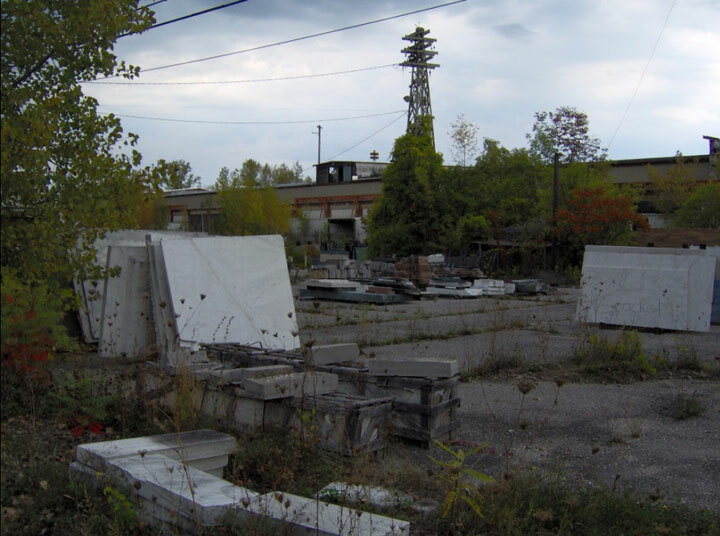 The 6.5 acres of vacant land was previously used by the Vermont Marble Company (VMCO) and Omya between the late 1880s and the early 1990s as part of their marble rock sawing and processing operations. The Phase I identified recognized environmental conditions stemming from former petroleum and solvent storage, railroad use, a dump area, and possible electrical transformer use. This was followed by a Phase II ESA that confirmed widespread contamination by PAHs, a 7,700 ft2 area of petroleum contaminated soils associated with a relict petroleum UST, and a 2,200 ft2 area of PCB contaminated soils associated with former electrical transformer use and maintenance. WHEM coordinated a meeting between the RRPC, the Town of Proctor, and Omya to discuss funding mechanisms for continued assessment and corrective action planning as well as establish some conceptual redevelopment scenarios.